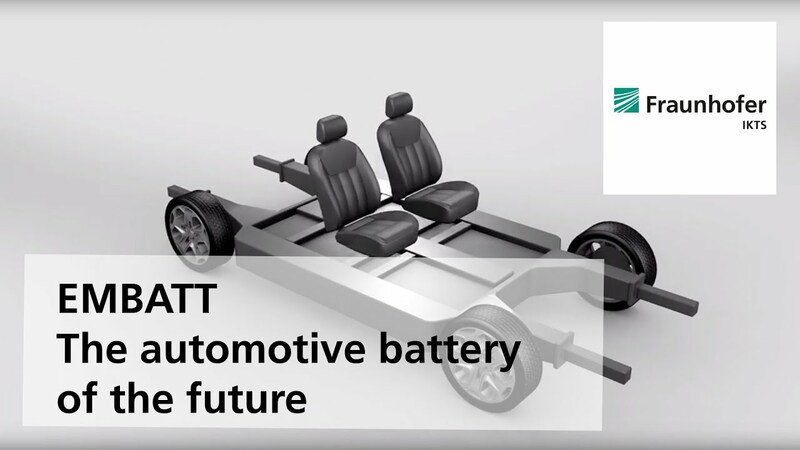 Better batteries for a greater range of electric vehicles – this is the goal of the “EMBATT-goes-FAB” project sponsored by the Federal Ministry for Economic Affairs and Energy. For that reason, the four project partners thyssenkrupp System Engineering GmbH, IAV GmbH, Daimler AG and the Fraunhofer Institute for Ceramic Technologies and Systems IKTS are developing bipolar batteries and processes for their fabrication. Thanks to their unique stacked layout, a higher storage capacity and, ultimately, a greater range of the vehicle are achieved using the same surface area. The innovative battery technology will now be taken to the next level of maturity and thus one step closer to industrialization. But it is not only motivation and framework that matter. The partners involved in the project must also be closely interlinked in order to master the new challenges. These range from the production of improved bipolar electrodes based on lithium-nickel-manganese-cobalt oxides and graphite as storage materials (Fraunhofer IKTS), to the scaling of assembly technology up to a size of 1000 x 30 cm² (thyssenkrupp System Engineering), the incorporation of an electric battery monitoring system (IAV GmbH), and safety simulations to address specific vehicle requirements (Daimler AG). The competencies complement each other perfectly. These are good prerequisites for taking a big step towards the ambitious goal of providing tomorrow's car drivers with more electric range and thus greater comfort.